Students struggling with writing? 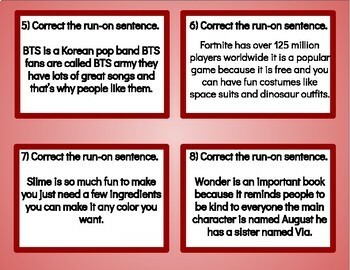 Seeing lots of run-on sentences in student writing? 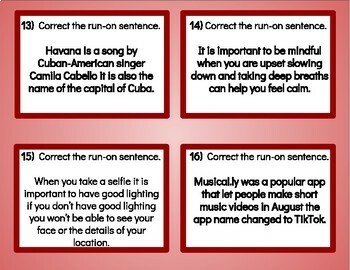 These task cards are the perfect fix! 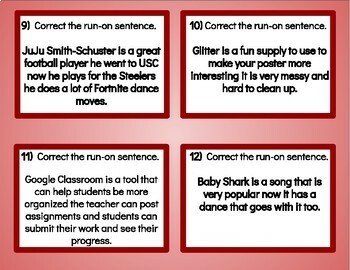 Each task card has an interesting run-on sentence for students to correct. With topics ranging from Fortnite and Slime to Musical.ly and Long Division, students are bound to stay engaged! 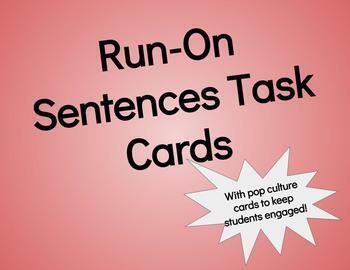 28 task cards and recording sheet are including.